Complying with his announcement that 2017 is the year of women and under the high patronage of His Excellency Abdel Fattah El Sisi, President of The Arab Republic of Egypt, the Egyptian capital, Cairo, will host the EGYPS Women in Energy Conference on Thursday 16 February 2017, day 3 of the Egypt Petroleum Show, which opens 14-16 February 2017 at the Cairo International Convention Centre. Claire Pallen, EGYPS 2017 Conference Director and DMG Events Energy Sector Manager, affirmed the importance of the Women in Energy Conference as it will incorporate a wide array of participation from the Egyptian government, headed by His Excellency, Tarek El Molla, Minister of Petroleum and Mineral Resources; Dr Ghada Waly, Minister of Social Solidarity, Dr Sahar Nasr, Minister of International Cooperation, Dalia Khorshed, Minister of Investment, and the Immigration and Egyptian Expatriate Affairs Minister, Nabila Makram. EGYPS 2017 Conference Director has also announced Eng Amira El Mazni, Vice Chairman Gas Regulatory Affairs (EGAS) as Ambassador of the conference. 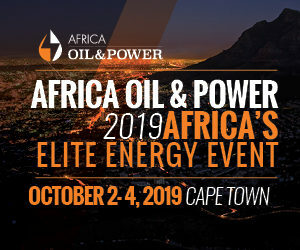 “The conference will encompass 8 sessions to discuss the contribution of women in the energy sector, with the aim of motivating more female participation to close the gender disparity within the industry. The sessions will delve deeper into the technical and business nuances that these professionals encounter in their roles, and how they are charting paths to progress and success. The conference will also host a dedicated discussion on Egypt’s 2021 Modernisation Programme that will highlight the Egyptian government and oil producing companies’ plans to strengthen their human capital within the Egyptian energy sector thereby unlocking the oil and gas sector’s full value chain potential as a growth and sustainable development engine for Egypt,” Pallen added. Commenting on her participation at Women in Energy Conference, Ms. Dalia Khorshed, Minister of Investment praised “EGYPS 2017” efforts on holding a dedicated conference that sheds the light on the field of women empowerment and advancement. “Women’s empowerment is a cornerstone of effective long-term development. Women have been playing a vital role throughout Egypt’s history,” she said. The list of panelists comprises pioneers in the energy field, namely Lynne Lachenmyer, Corporate Vice President for Safety Security Health & Environment EXXONMOBIL CORPORATION; Hinda Gharbi, Wireline President, SCHLUMBERGER, Emma Delany, Regional President, Mauritania & Senegal, BP; Milly Tornaghi, Vice President, Exploration, EDISON SPA; Nicole M Deyell, Vice President, Reservoir Development Regions, Upstream Production, BP; Osama Halim, Area Manager, HALLIBURTON; Aliaa Ezz-EL-Din, Field Engineer II Well Bore Intervention Group, BAKER HUGHES; Dalia El Gabry, Finance Manager, SHELL, Dr Ghada Bassioni, Associate Professor and Head of Chemistry Department Faculty of Engineering, AIN SHAMS UNIVERSITY, Maha Attia, General Manager Technical Office, RO Leader, Modernisation Programme, MINISTRY OF PETROLEUM & MINERAL RESOURCES, amongst others. EGYPS Women in Energy 2017 is sponsored by ExxonMobil Corporation as the Diamond Patron of the event, British Petroleum as Platinum Patron; and Baker Hughes as Bronze Sponsor.